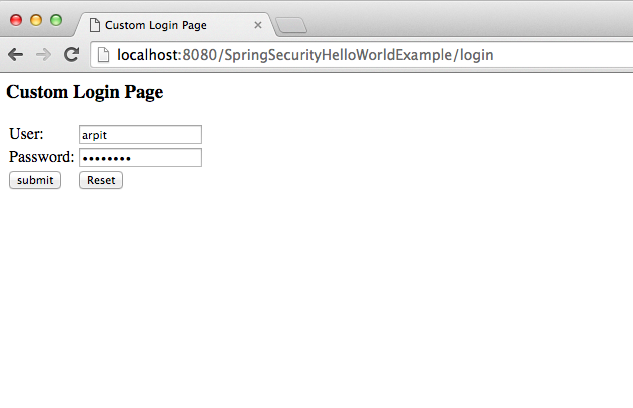 In previous post,we have used default login page generated by Spring security framework. 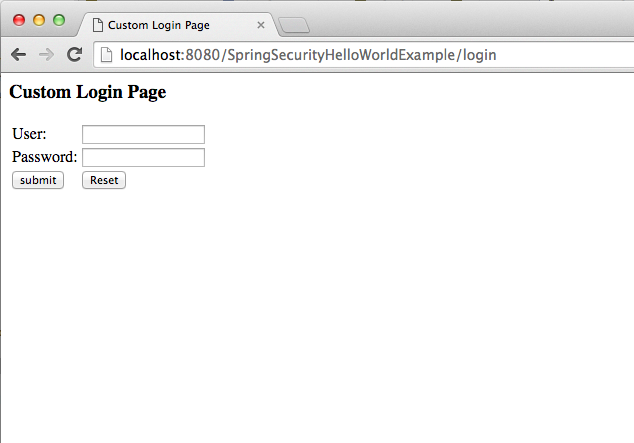 In this post, we will see how to use custom login page in Spring security. 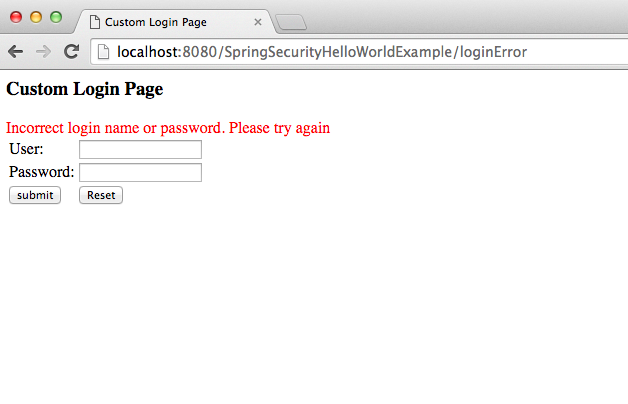 In this post, we will see how to apply custom login form spring security to spring mvc hello world example. 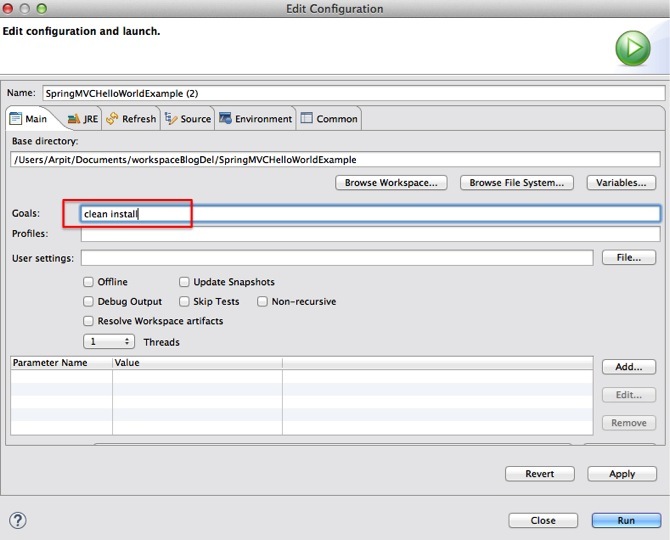 If you want to secure your spring web application , you just need to configure some files to make it happen using spring security. 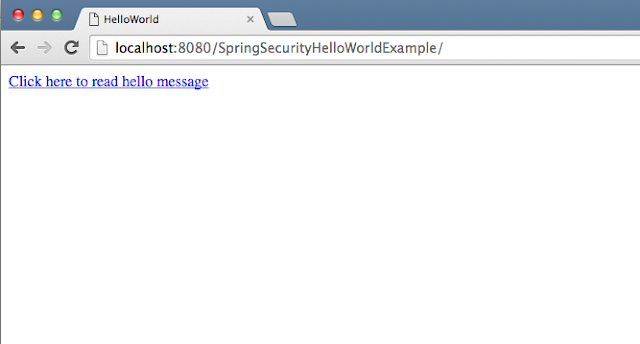 We will apply login security on hello world example, so when only authorised users will be able to access hello world message. 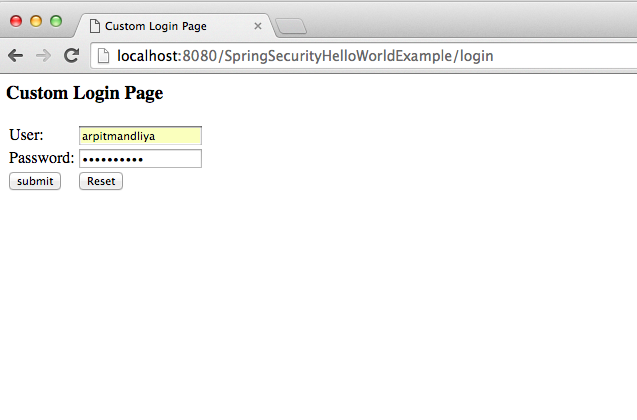 Here are steps to apply spring security custom login form on spring mvc hello world example. 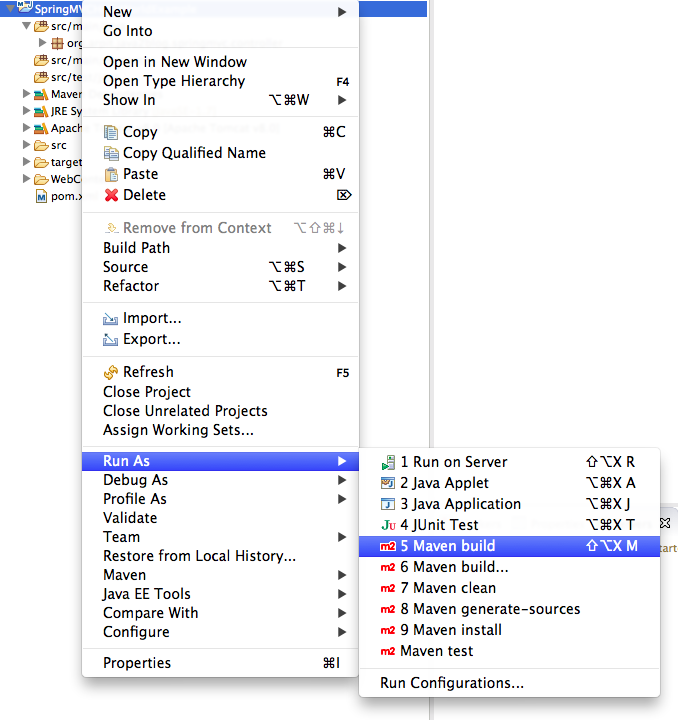 As request first goes to dispatcherServlet and it redirects to controller class. Here @Controller depicts that this is our controller class. 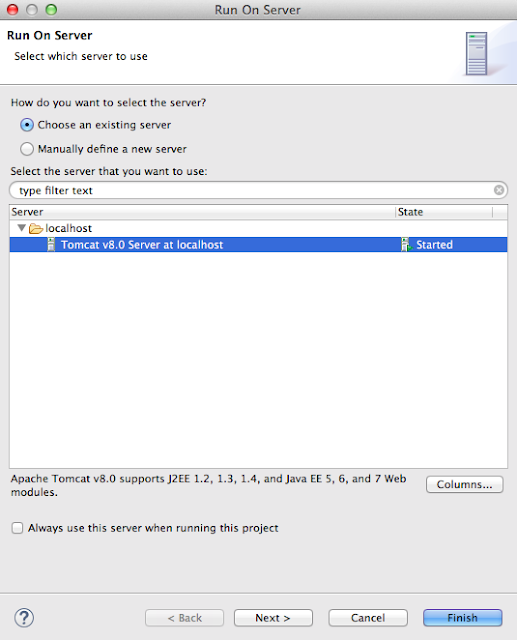 @RequestMapper is used to map incoming http request to handler method(hello() in above controller).So hello() method of HelloWorldController.java will handle GET request from dispatcher. Here We have used Principal object to get current logged in username. 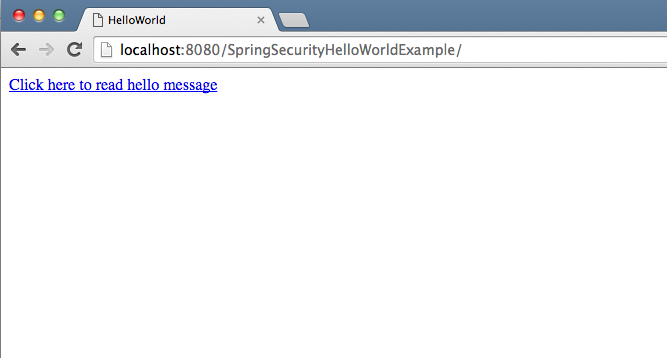 It is set by Spring security framework. <form name='loginForm' action="<c:url value='login' />""
We have used css file in above login.jsp. Create style.css file as below. We have used form-login in above file, so if user tries to access any secured url, he will be authenticated based on above form-login configuration. login-page : we need to provide url for login page. default-target-url : here if authentication is successful, then target page url should be provided. authentication-failure-url : if authentication is unsuccessful, then redirection page url should be provided here. We have hardcoded username(java2blog and arpit) and password(java123 and arpit123) in authentication manager, so if user provides correct credential for admin then only he will be able to access helloworld.html. 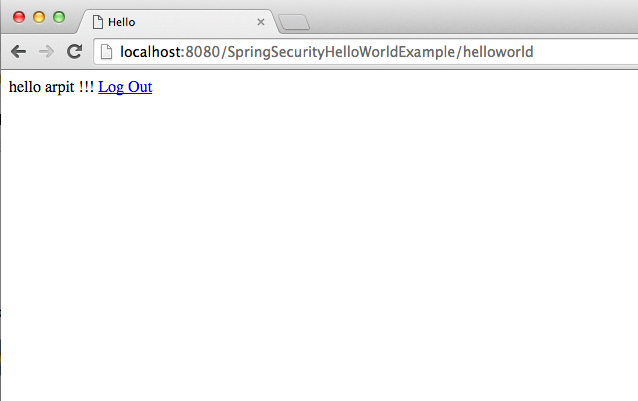 Step 8: We need to change in web.xml to configure spring security. Appreciating the dedication you put into your blog and in depth information you offer. It’s nice to come across a blog every once in a while that isn’t the same old rehashed information. Great read! I’ve saved your site and I’m adding your RSS feeds to my Google account.